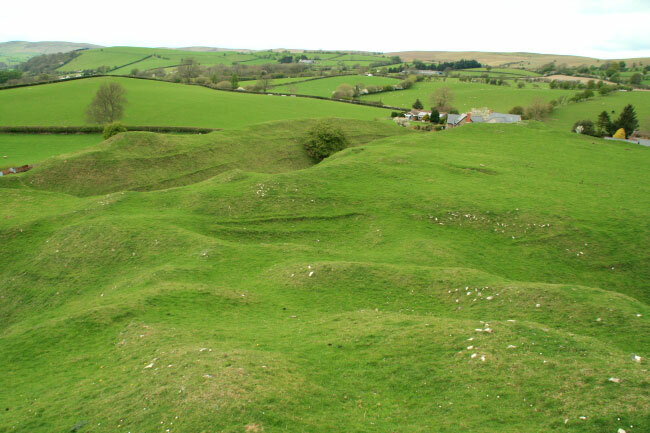 Painscastle, or Pain's Castle, dates from the beginning of the 12th century when it was started by Payne fitz John, but over the next 100 years it was besieged and captured a number of times by the Welsh. 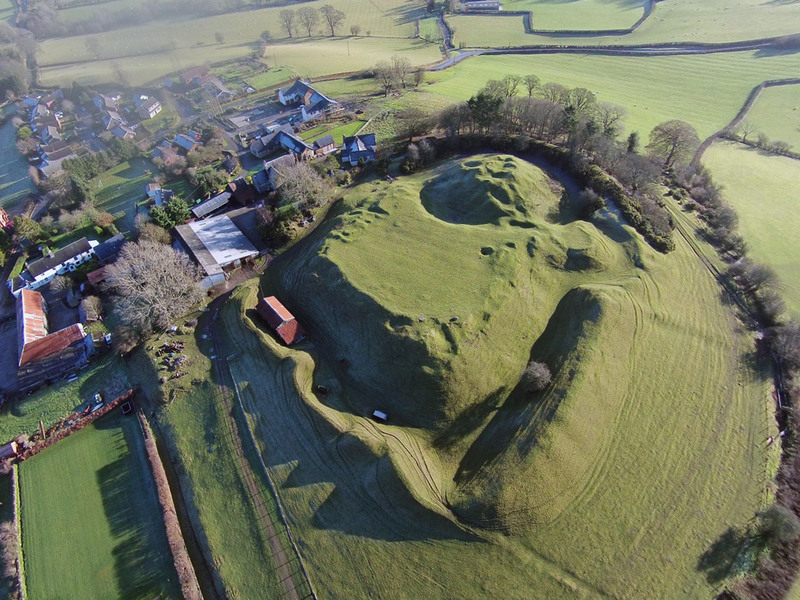 In 1231 it was rebuilt with a stone keep on the motte and a curtain wall with gatehouse and towers. 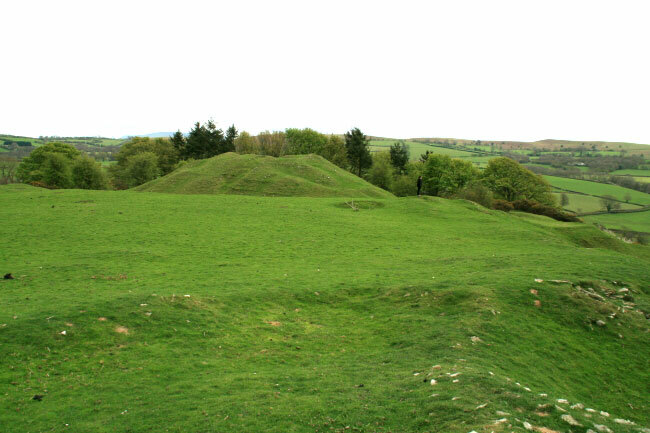 It had to be rebuilt again in 1277 after being destroyed in 1265 by the Welsh under Llewelyn ap Gruffudd but it was then abandoned in the early 15th century after the end of the Glyndwr rebellion. 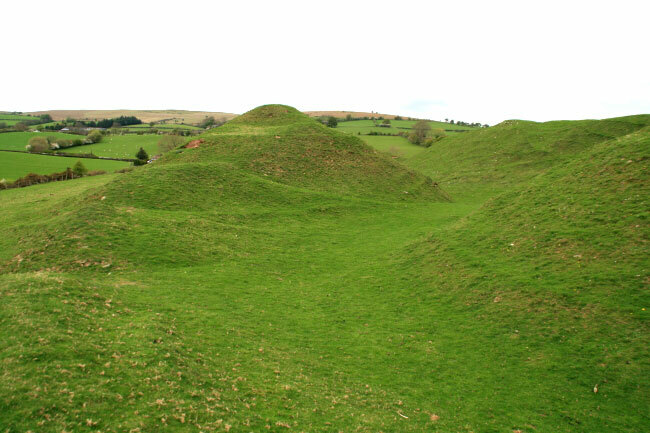 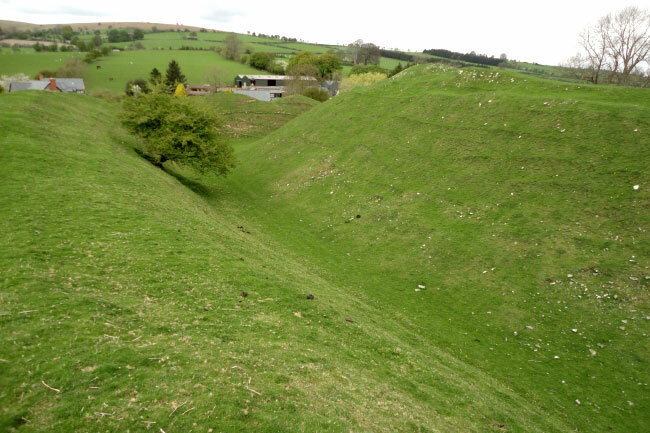 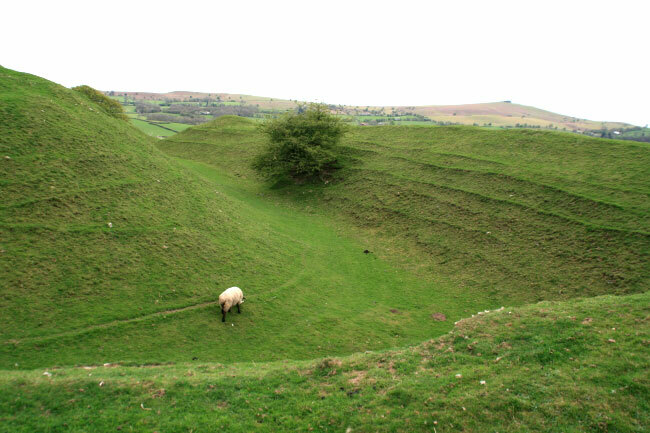 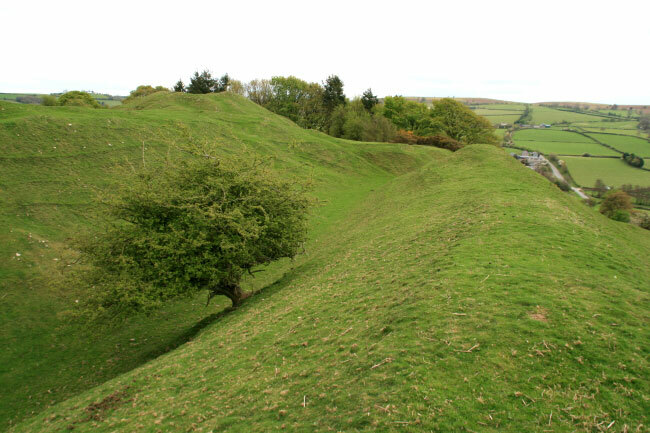 Only earthworks and the large motte still stand, the stone has all been removed.